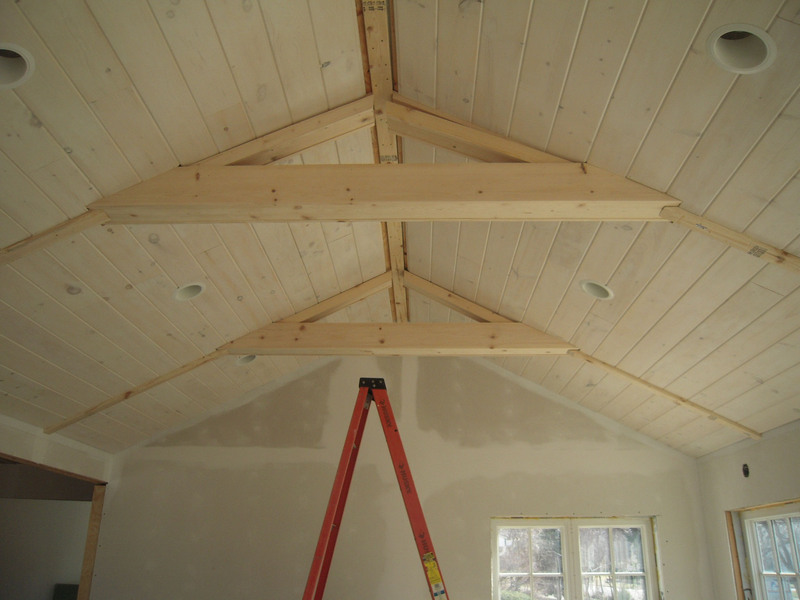 We have the main part of the ceiling up – but it’s trim time and confessions. Yep, there were plenty of mistakes on this project. But being the freestyle project it is – we’ll fix them as we go. 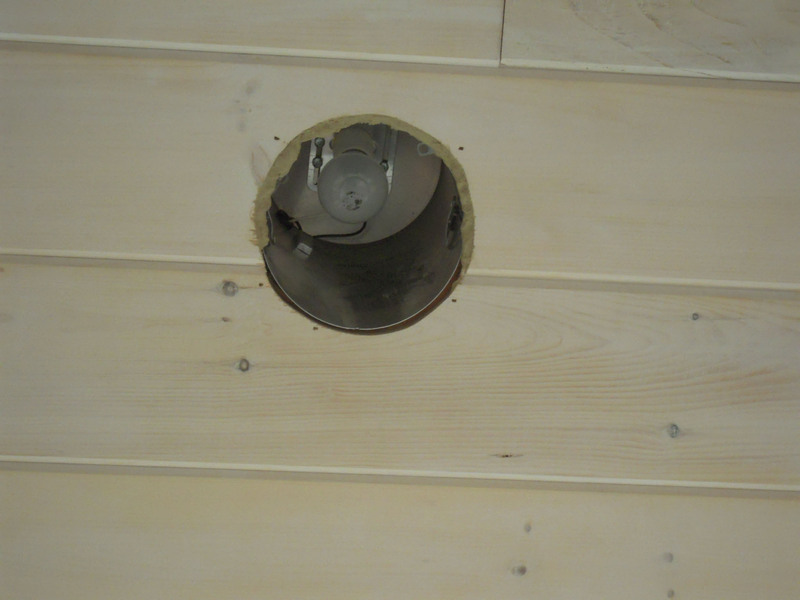 First was cutting the holes for the recessed lights. The one on the left was the 1st one I cut – as a circle. It looked a little off, so I went hunting for the ceiling light paperwork. 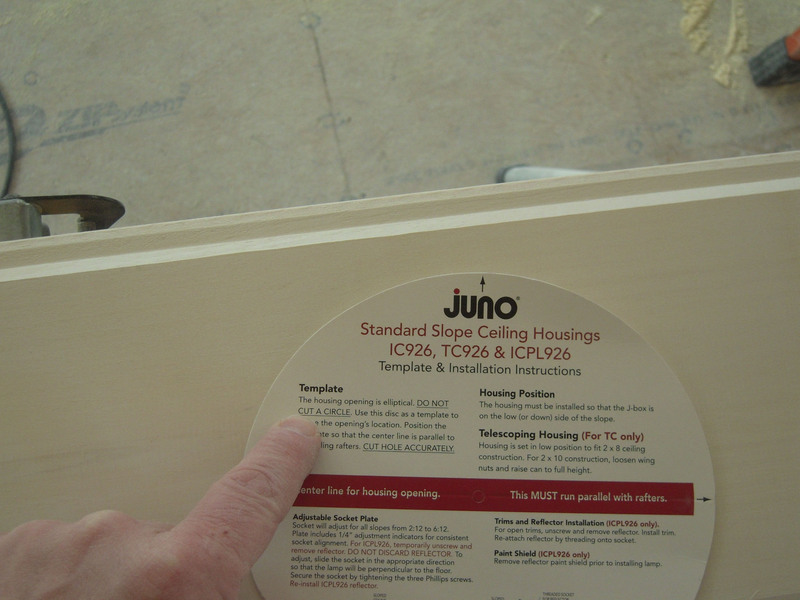 And right there on the paper that’s inside every fixture it says do not cut a circle. OK. The trim ring still covered this, but it was mighty close. So I mixed up some water-based wood filler and built up the circle back to the recommended oval. I always add a little tight bond glue to the putty – it makes a very strong material that sticks to the wood. 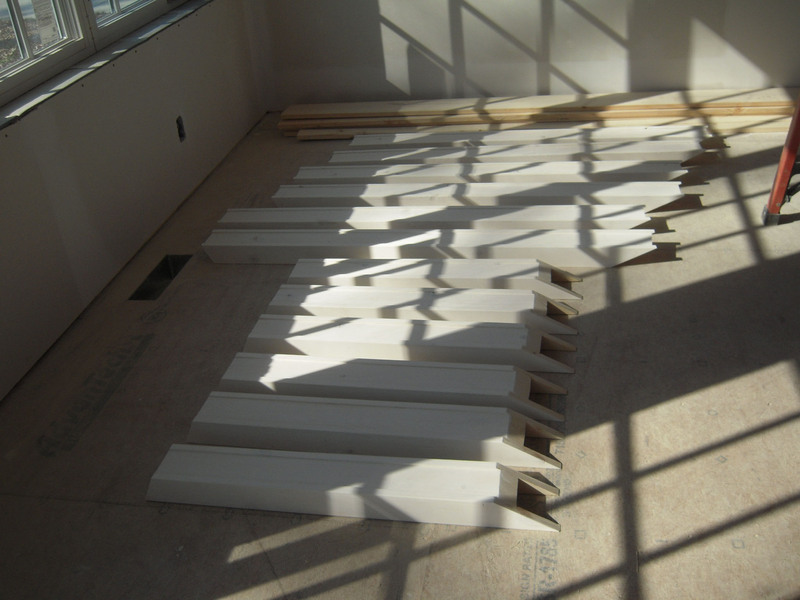 Here is the construction of the side beams – these will go below and above the cross beams. These are glued and clamped and shot with a few 15ga nails. These are 8 feet long. Long enough for the top and bottom beam. 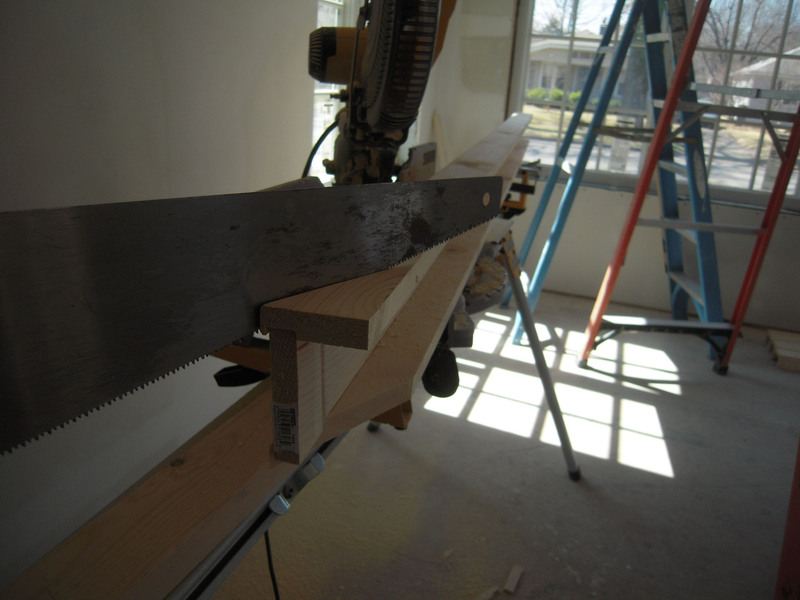 Even though I have a pretty big blade on my saw, I still needed a handsaw to finish the deep cut for the angle. 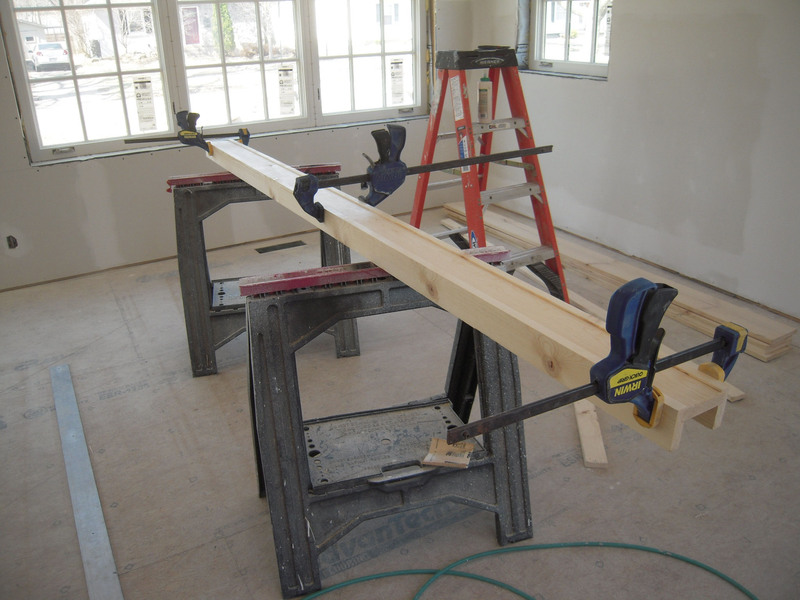 A test fit on the beams to make sure the angles were correct. This shows the upper beam – they’re just stuck up there to test – that’s why the front right one is droopy. Next we paint and finish them all up. Short ones go above the beam, the long ones go below. 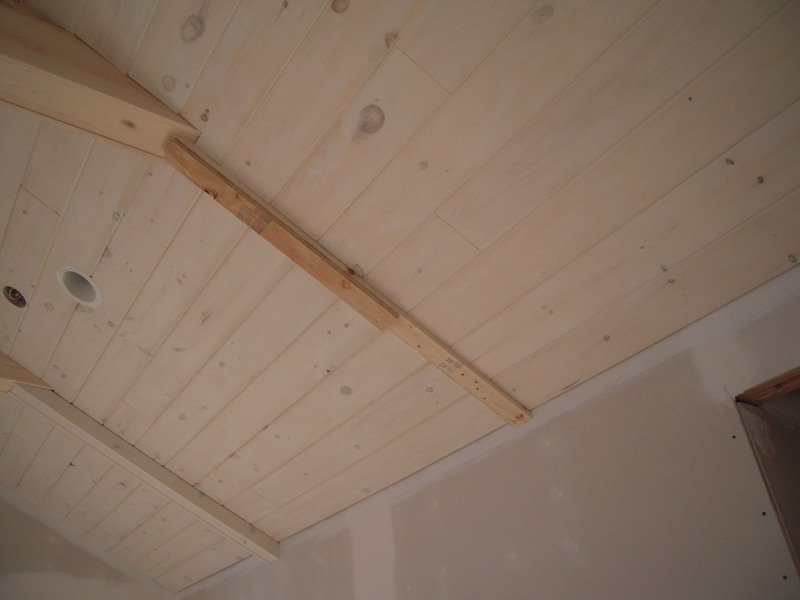 The side beams go over the 2X4 nailer. 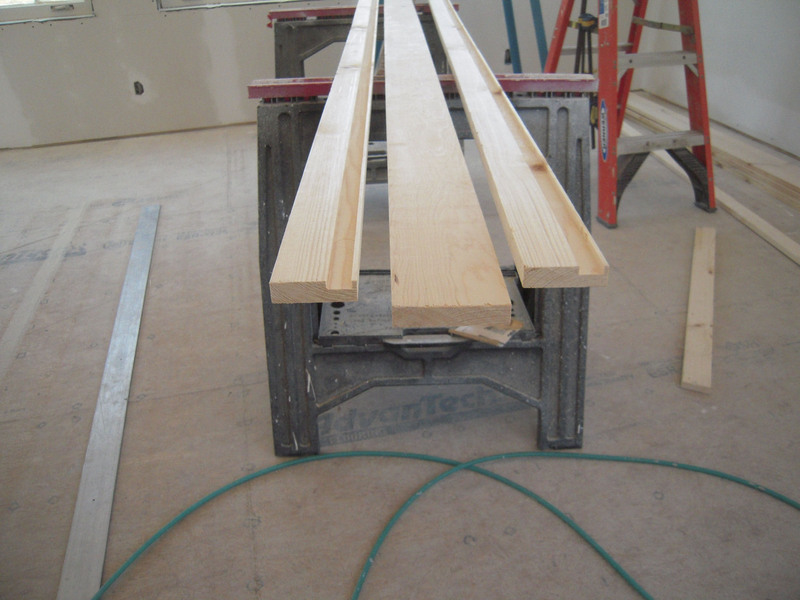 Additional plywood goes on the nailer before the side beam is attached. 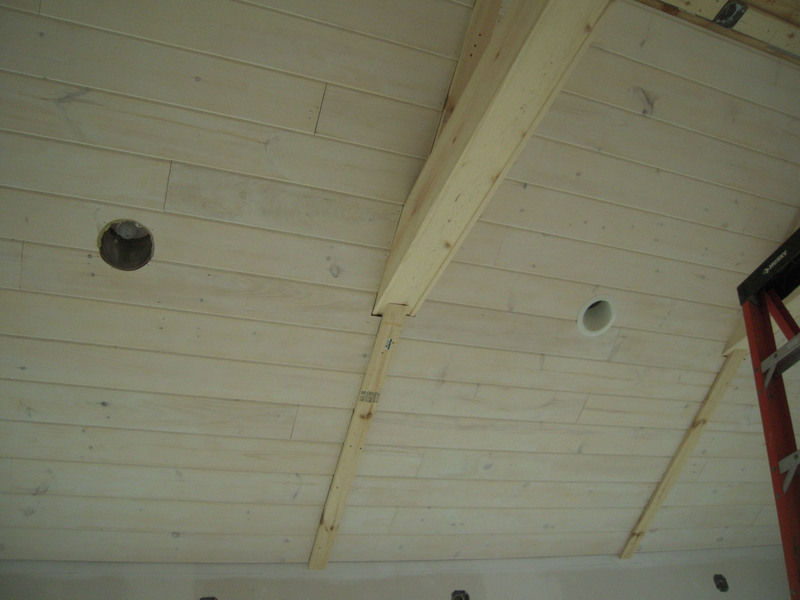 The side beams are fastened using 15ga nails nailed through the face of the beam. The side beams fit between the relief of the main cross beam. The bottom angle is cut to fit flush with the side wall. There’s lots of fiddling to do before we can put away the ladders. 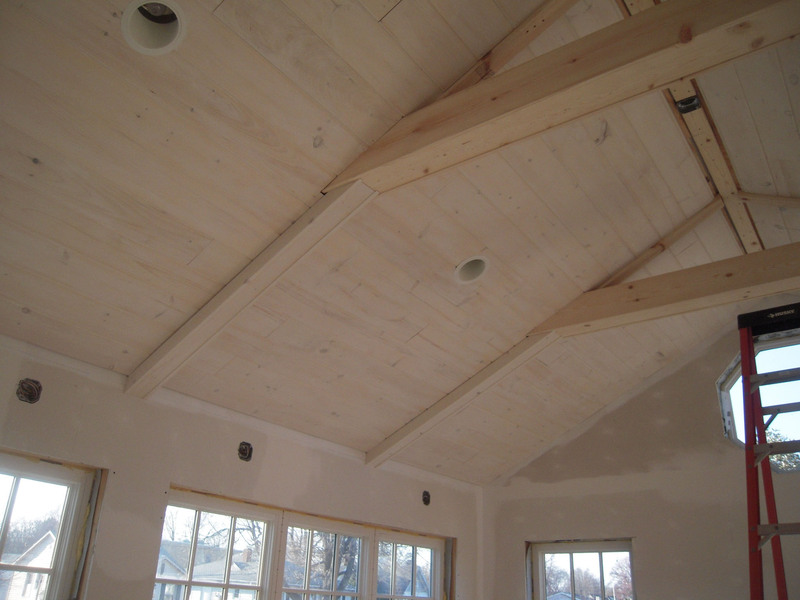 This entry was posted in Home Renovation, Sunroom and tagged 1930's bungalow, ceiling beams, Home Renovation, nailers, Old Home Renovation, Remodeling by curt. Bookmark the permalink. Ha ha, cut a circle and then read the instructions. That sounds so familiar!